Supporting people, protecting the planet. How can human rights for indigenous communities in tropical forests help us in our fight against climate change? On International Day of the Worlds Indigenous Peoples we publish this piece by Becca Warner – an independent writer and consultant, working with mission-led organisations focused on sustainability and equality. 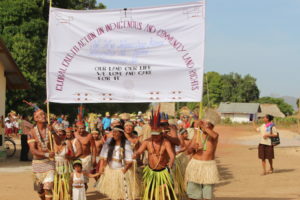 Here, Becca explores and highlights the link between the rights of indigenous communities and measures to fight climate change. Human rights and climate change may, at first glance, look like different issues. One is about civil liberties and equality; the other is about air pollution, rising sea levels, and threats to ecosystems. But in the world’s tropical forests, the two are critically linked. Protecting human rights and supporting sustainable livelihoods for indigenous communities can help preserve the world’s forests – which are one of our best lines of defence in the fight against climate change. Protecting the world’s forests is crucial if we’re to avoid surpassing the all-important 2 degree global temperature rise. This is because forests act as carbon sinks, absorbing excess carbon dioxide from the atmosphere and locking it away in the ground. It follows that deforestation – and the associated use of agricultural land – is the second biggest source of CO2 emissions globally, which is more than all the world’s transport emissions combined. Preventing deforestation, then, should be a huge priority. There are many threats to resist, driven by ever-growing demand for palm oil, soy, timber, cattle, oil, minerals… the list goes on. 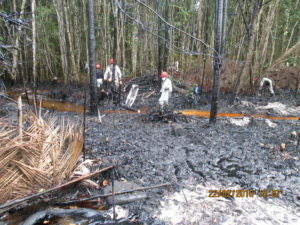 But it’s been recognised that, despite these growing pressures, deforestation is reduced in areas where indigenous communities are given rights to their land. In fact, five times more trees are cut down outside indigenous territories and conservation units, according to a recent study by RAISG (The Amazon Network of Georeferenced Socioenvironmental Information). Why? 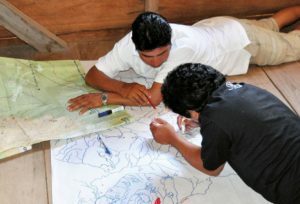 Shapiom, a leader from the Wampís indigenous community in Northern Peru, describes how living and working in balance with the land isn’t just the right thing to do – it’s part of his community’s wider cultural fabric and collective identity. Protecting the environment isn’t a decision to be made, it’s part of who the Wampís are. “Forests are central to and key for the production, reproduction and shaping of the knowledge, wisdom, and practices which together form our cultural system. They sustain a very special kind of spiritual relationship. Nature (waterfalls, giant trees, lakes, mountains) and even the wind, gales and lightning are expressions of nature which embody the arutam (god). “For that reason, contamination or destruction of nature means the extinction of those expressions of spiritual forces. Nature, in order to conserve its bounties, its abundance, its spirituality, must maintain its elements in perfect balance. It is this approach to their land which means that the Wampís are so well placed to be the defenders of their territory – and have had major successes in protecting it. 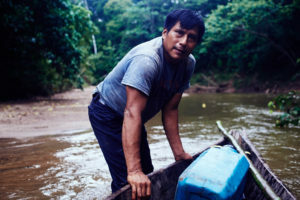 Their work has included the eviction of illegal miners working on the River Santiago, where forests have been destroyed and water sources contaminated. The peaceful interventions undertaken by 300 men, women and children led to the miners’ withdrawal, and damage was confined to just 8 hectares. Another forest protection success story comes from Guyana, where the Wapichan community are using technology to record forest loss and prompt preventative measures. Using a drone, they have recorded images of where and how forests are being destroyed, and shared the information with Guyanese authorities. This has led to increased border patrols to prevent the illegal crossing of the miners and rustlers responsible. For indigenous communities around the world to continue this important work, though, there is a need for far greater recognition of their human rights. 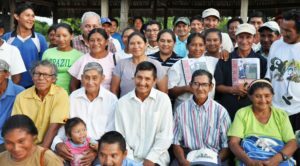 Most urgently, environmental defenders need protection against threats to their life: Global Witness have reported that 197 environmental activists, including many indigenous community members, were murdered in 2017. For the Wapichan people in Guyana, there is ongoing concern for those who continue to monitor certain resource-rich areas. This issue affects indigenous peoples around the world, who are currently putting their lives at risk to defend their lands. There is also a need to uphold indigenous communities’ right to Free, Prior and Informed Consent on any development or disruption of ancestral lands. Andres Noningo, another of the Wampís’ community’s leaders, explains that this is central to their ability to protect themselves from companies and politicians “who are only able to see gold and oil in our rivers and forests”. The growing pressure on indigenous communities – who have only recently entered the market economy – to find ways to meet their economic needs can mean that indigenous land protection isn’t a straightforward ‘us and them’. 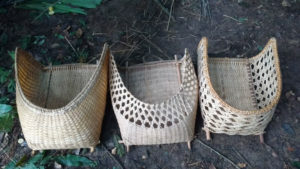 The opportunity to receive payment for timber can be difficult to turn down, so initiatives that promote sustainable livelihoods play an important role in supporting people who live in the world’s tropical forests. 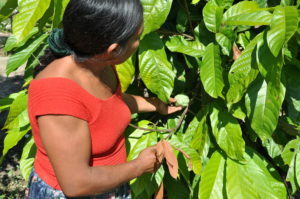 For the Wampís and Wapichan, this has meant grass-roots efforts to create sustainable fishing and cacao growing programmes, as well as the production of traditional crafts – efforts that work in harmony with the land, and with their culture. By supporting people, we can support the planet. With a football pitch of rainforest being lost every second, it is clearer than ever that our forests need guardians. Promoting the human rights of indigenous peoples means that they can, in turn, defend the forests that are so important for the future of our shared earth. Size of Wales work with the Wapichan and Wampis communities mentioned in this piece via our partners Forest Peoples Programme. 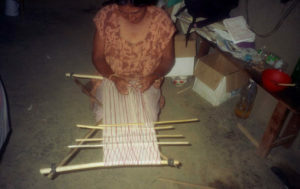 If you would like to support their plight, you can donate to either specific project. Here for the Wampis of Peru and here for the Wapichan of Guyana. Alternatively, you can donate to support all of our climate change fighting projects here. We double all donations.